Extended! Finders Savers: up to 40% off! 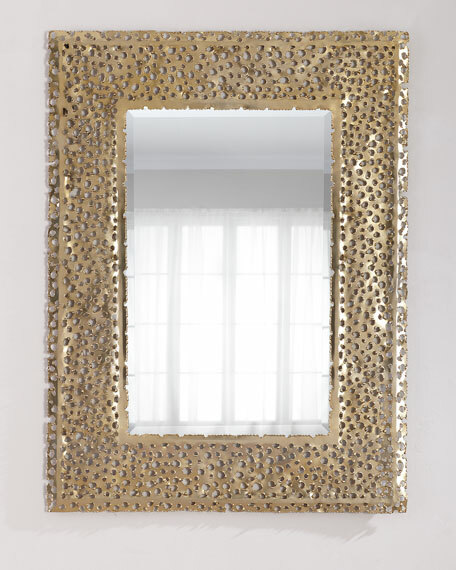 This modern beveled mirror features a frame with a smile wait finish in gold. 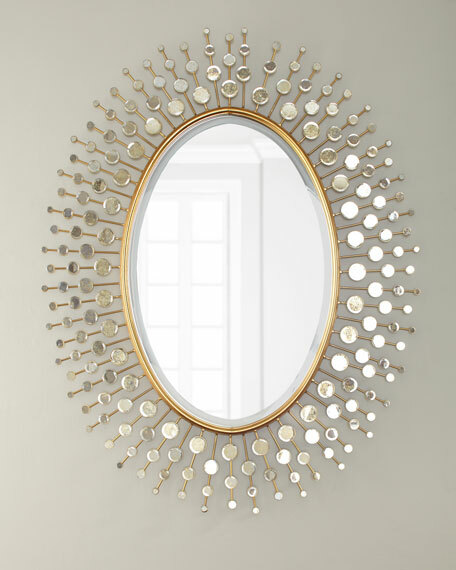 This mirror hangs vertically only. 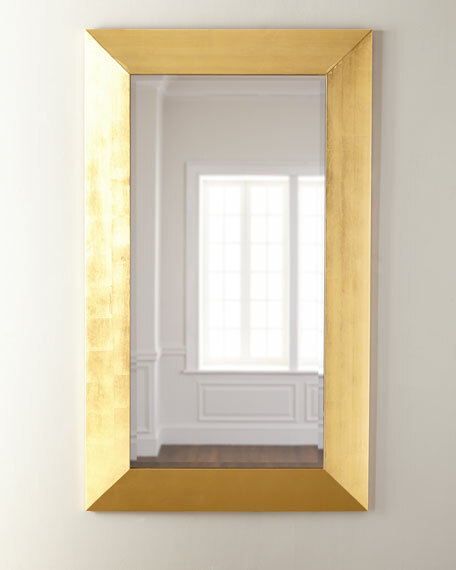 The simplicity of the thin gold frame, is the perfect look for the updated traditional home. 40"W x 1.8"D x 60"T.
Weight, 86 lbs. Boxed weight, approximately 152 lbs. 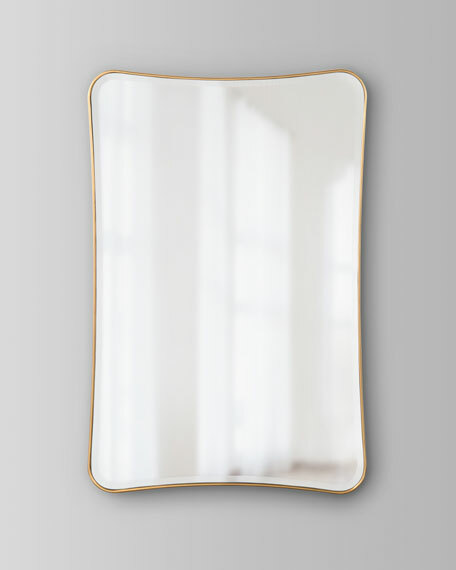 Handcrafted mirror with 1.25" beveled edge. Solid pine frame finished in hand-applied gold leaf. May be hung horizontal or vertical. D-rings for hanging included. 44"W x 3"D x 74"T.Imported.Weight, 80 lbs. Boxed weight, approximately 80 lbs. 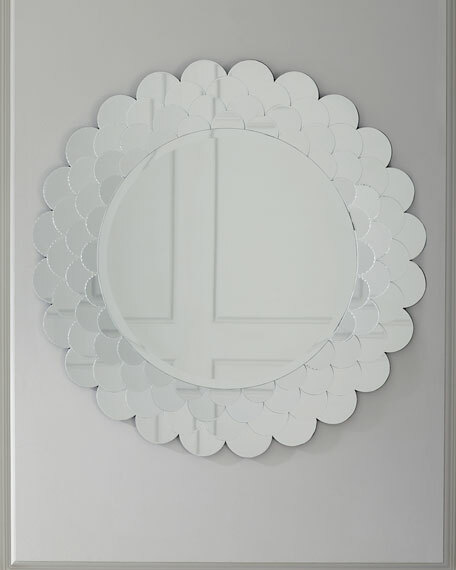 EXCLUSIVELY OURS.Handcrafted mirror with small etched fish scale edge. Overall, 36.6"W x 0.8"D x 35.6"T.Inner dimensions, 23.3"Dia. Wood composite frame. Two D-rings included. Imported.Weight, 21 lbs. Boxed weight, approximately 34 lbs.